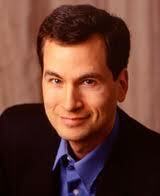 David Pogue, the personal tech reporter for the New York Times, has something that no other man alive has, his column. He is also an author, TV host, public speaker and a Broadway song and dance man. If you don’t know who David is, then I suggest you “Google” him. His personal tech column probably has more readership than any other source for digital news. That is true for both print and online. I am not saying there are no other powerful tech writers around. There certainly are. However, if David writes about a tech company, the PR person representing that client, has hit a home run, right out of the park. If David likes the product or service and recommends it to his readers, the PR person responsible for the placement, has achieved one of the greatest moments of his or her career. David calls it “The Pogue Experience.” I had the pleasure of experiencing “The Pogue Experience” several times. One of the most memorable times was when he wrote about an iPhone app we represented at HWH PR, called “Line2.” “Line2” adds a second line on your smartphone so you can have two numbers, one for business, the other for personal. The day David wrote about “Line2,” 72,000 of his readers immediately download the app and brought down the “Line2” servers. No one at “Line2” was prepared for such a heavy duty, positive reaction. There are many other scenarios, but the one I want to tell you about today is David’s marriage proposal to a tech PR gal from Silicon Valley. He lives in Connecticut. The 3,000 mile romance has been written up before but not as much as the attention they are getting today. The video he created to be a part of the surprise for his girlfriend went viral. It is the talk of the romance and tech editorial pages all across the country. Watch his marriage proposal video below. Check out other stories about David’s marriage proposal in Huffington Post, Gizmodo and Media Bistro. Just click on the bold type to access the stories.